Bath and massage time is not just fun, but gentle and safe with 100% natural ‪#‎BeloBaby‬! Belo Baby truly makes for a great companion to your little ones. Watch this cute video on how Belo Baby makes your baby’s journey fun and wonderful! Known as the Philippines’ “Ambassadress of Beauty”, prominent cosmetic dermatologist Dr. Vicki Belo has proven to be top of mind when it comes to the specialized field of dermatology and cosmetic surgery. With over two decades of delivering the most advanced technology in skin and beauty care in the country, her practice has become an esteemed medical institution and industry leader. At the heart of the Belo Medical Group’s immeasurable success is Dr. Belo’s Vision: “I want to make the Philippines the most beautiful country in the world, one person at a time.” True to this vision, Dr. Belo, with the help of her daughter Cristalle Belo Henares, established Intelligent Skin Care, Inc., which aims to bring the Belo skin care expertise to every Filipino home, giving everyone a chance to be Belo-beautiful every day. Dr. Belo and her team of skin experts have come up with skin care lines that specifically address the concerns of each Filipino. For all the brands, it has always been Dr. Belo’s mandate that results should be seen and that the products must deliver. 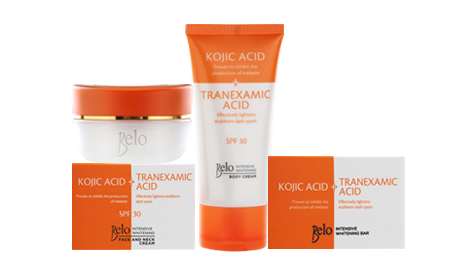 Thus, extensive studies and various dermatological tests are continuously being done to guarantee that Belo products really work. In the aim of Dr. Vicky Belo to make the Philippines the “most beautiful country in the world, one person at a time”, her company Belo Medical Group has come up with a line of beauty products that are available to anyone with a desire to look prettier. With the success of their medical group, their skin care products were welcomed openly in the market and soon gained the attention of many skin-conscious lads and ladies.Belo Essentials was out of decades of research and experience in the field of dermatology. Dr. Belo and her trusted team of expert dermatologists came up with the Belo skin care line which includes beauty bars, underarm care, supplements and skin solutions. Their products promise to deliver the best kind of whitening, lightening and skin soothing experience that you’ve always been dreaming of. 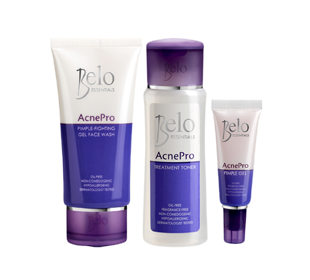 You can finally get rid of blemishes with the best kind of skin care technology that Belo offers through their products. Glutathion, Kojic Acid, and Gigawhite and DermWhite Plus are among the powerhouse ingredients you get to experience when you put your trust in Belo Essentials. Now you and every Filipina can now achieve star white skin with Belo. No one likes blemishes, dirty and awkwardly dark skin. If you know you have the opportunity to have smooth, supple and white skin, grab it. Belo is now available at ZALORA and all you have to do is browse through it and start shopping. If you’re looking for something to spark up your interests further, ZALORA gives you cash on delivery, free shipping over P995 and 30 days free returns as extra shopping perks. Shop at ZALORA now!